Insulator Inks & Pastes. Small & Large Quantity. Delivery Worldwide. 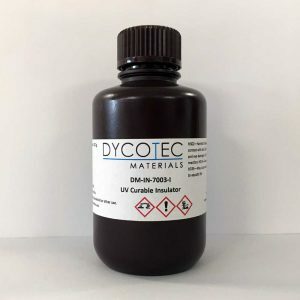 Dycotec Materials offer a range of insulator inks and pastes that have been developed for a broad range of applications including; automotive, sensors, touch-screens and thin-film photovoltaic. 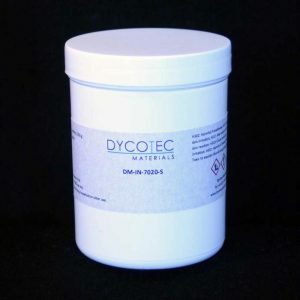 The insulator layers can be either screen or inkjet printed and UV or thermally cured. 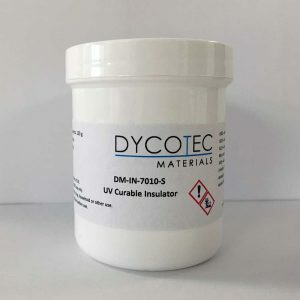 Our insulator inks and pastes, which are epoxy based, offer ultra-durable performance for use in applications such as semiconductor, thin-film PV and multilayer flex PCB production. We provide our insulator inks and pastes to a global customer base, offering a flexible delivery service from low volume samples to high volume to meet our customer’s production needs. We can rapidly tailor formulations for specific customer requirements.